In Lewis & Clark’s day, the Mouth of the Platte River marked the beginning of the uncharted frontier. Both Lewis & Clark wrote of the beauty and vastness of the prairie and wildlife that abounded all around. Today Southeast Nebraska offers scenic river towns, great state parks and vacation fun for the whole family! Visit the Missouri River Basin Lewis & Clark Interpretative Trail and Visitor Center for exhibits featuring all the different wildlife the Corps saw as they moved upriver. The Visitor Center also features a keelboat display, fantastic views of the Missouri River Basin and historical re-enactments throughout the summer. Nebraska City also features the J. Sterling Morton Arbor Lodge State Historical Park and Arboretum, Lied Lodge and Conference Center, Arbor Day Farm Tree Adventure, Kimmel Orchard and Vineyard, the Kregel Windmill Museum and the Old Freighters Museum. Riverview Marina State Recreation Area provides camping and boat access on the Missouri River. A scenic and historic river town that features the Spirit of Brownville Riverboat. Brownville Riverside Park features Meriwether Lewis Dredge Museum, boat ramp & dock, camping, and picnic shelters. 10 miles south of Brownville on Hwy 67. 3,052-acre Park on the Missouri River. Camping, 20 miles of trails. Picturesque town on US 75 features the Nemaha Valley Museum and Peru State College. Includes the Cass County Historical Museum. Visit the Schilling Wildlife Management Area to see the Mouth of the Platte River at its confluence with the Missouri River. 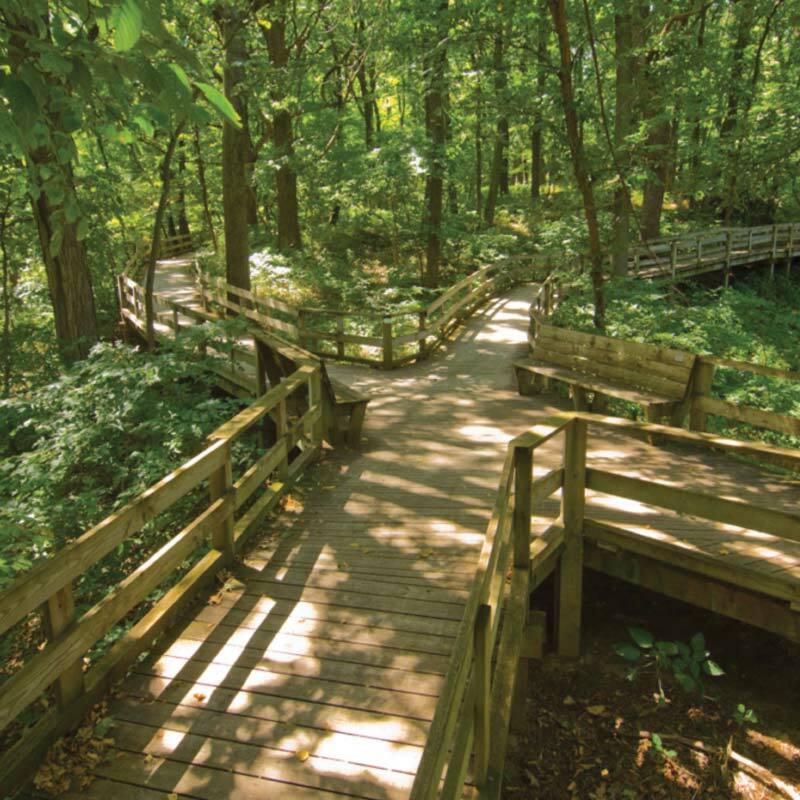 Features the beautiful Fontenelle Forest Nature Center, Gifford Farm Education Center, Sarpy County Historical Museum, historic home tours and the Bellevue Pioneer Cemetery, the final resting place of Chief Big Elk, the last full-blooded chief of the Omaha Tribe. Bellevue’s Haworth Park is on the west bank of the Missouri River and features a Lewis and Clark-themed Children’s Interpretive Art Wall. 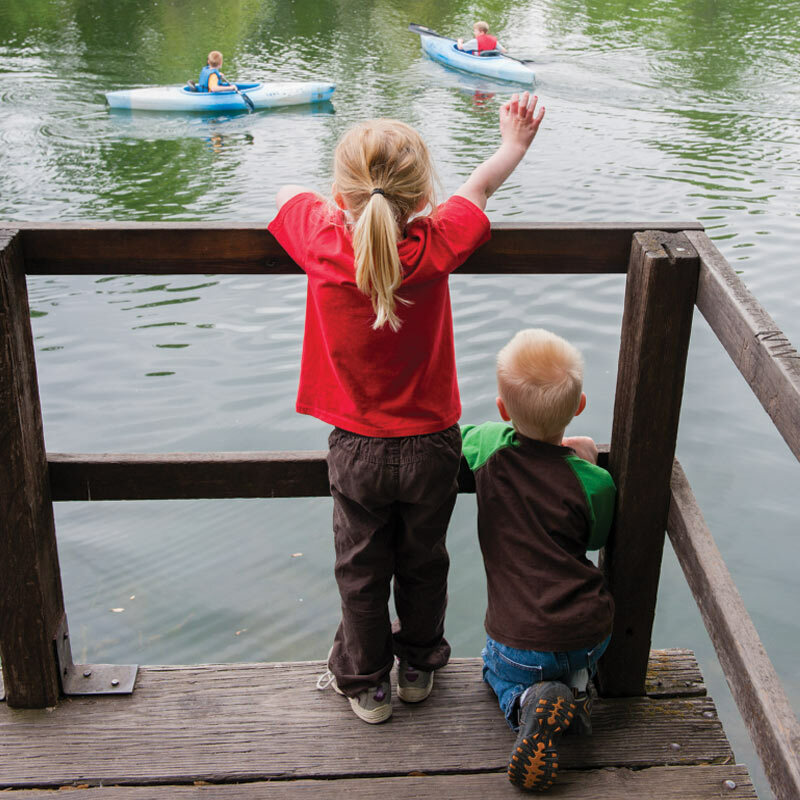 The Louisville State Recreation Area on NE 50 features modern campgrounds, camping pads, swimming, fishing, picnicking, hiking, and canoe access to the Platte River. Near Louisville on NE 50. 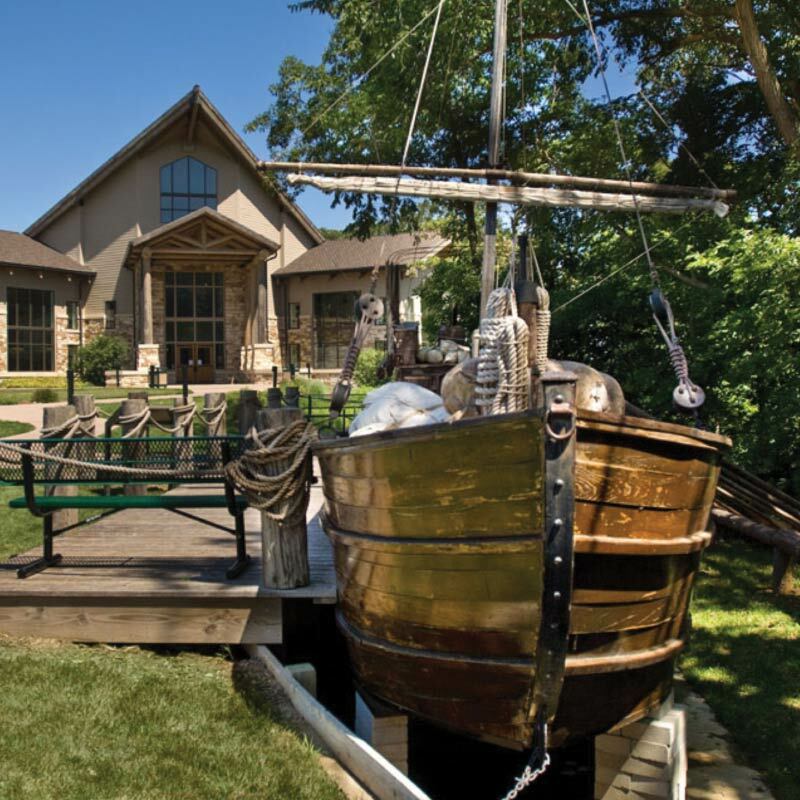 Features include modern cabins, conference facilities, seasonal restaurant, teepee village, lodging,swimming, hiking, paddle boats, archery, horseback trail rides, Platte River view-scapes, and some of the best bike trails in the area. 6-miles south of I-80 exit 432. Home of Ak-Sar-Ben Aquarium & Museum. Just off I-80 at Exit 426. 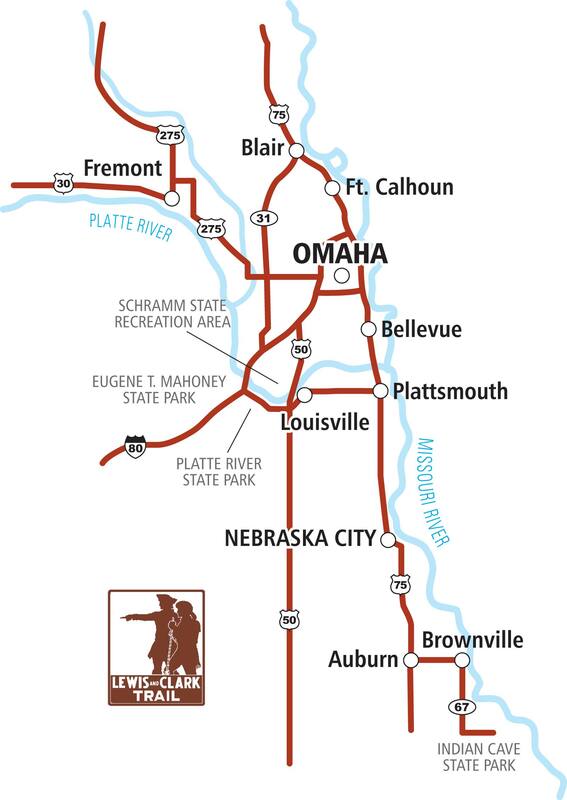 690-acre state park overlooking the Platte River features lodge, group and conference facilities, modern cabins, dining, family aquatic center, water slides, wave pool, sports fields, trail rides, crafts, fishing, picnicking, hiking, 70-ft. observation tower, nature conservancy, and live theater. Year round activities. Lee G. Simmons Conservation Park and Wildlife Safari, near Eugene T. Mahoney State Park, is a wildlife adventure amidst herds of buffalo, elk, deer and antelope, and a walking trail where you’ll see wolves and bears. The Strategic Air & Space Museum is nearby. Fort Atkinson State Historical Park, a re-created 1820’s frontier outpost is at the historic site of the First Council between Lewis & Clark and Native Americans from the Otoe and Missouria tribes. Today the Fort has been re-created to be authentic in every detail and features displays, artifacts, a theater and historical re-enactments the first weekend of every month during the summer and fall. The town of Fort Calhoun also features the Washington County Museum. Boyer Chute National Wildlife Refuge Center is nearby. Includes the Tower of the Winds Monument, Cottonwood Marina and Riverfront Park. Downtown area includes: Lewis & Clark National Historic Trail Headquarters and Visitor Center, Joslyn Art Museum (Bodmer Art Collection), Durham Museum, Bob Kerrey Pedestrian Bridge, Lewis & Clark Landing and Riverfront Trail, Heartland of America Park, First National’s Spirit of Nebraska’s Wilderness and Pioneer Courage Park, Old Market Entertainment District, CenturyLink Center Omaha and TD Ameritrade Park. 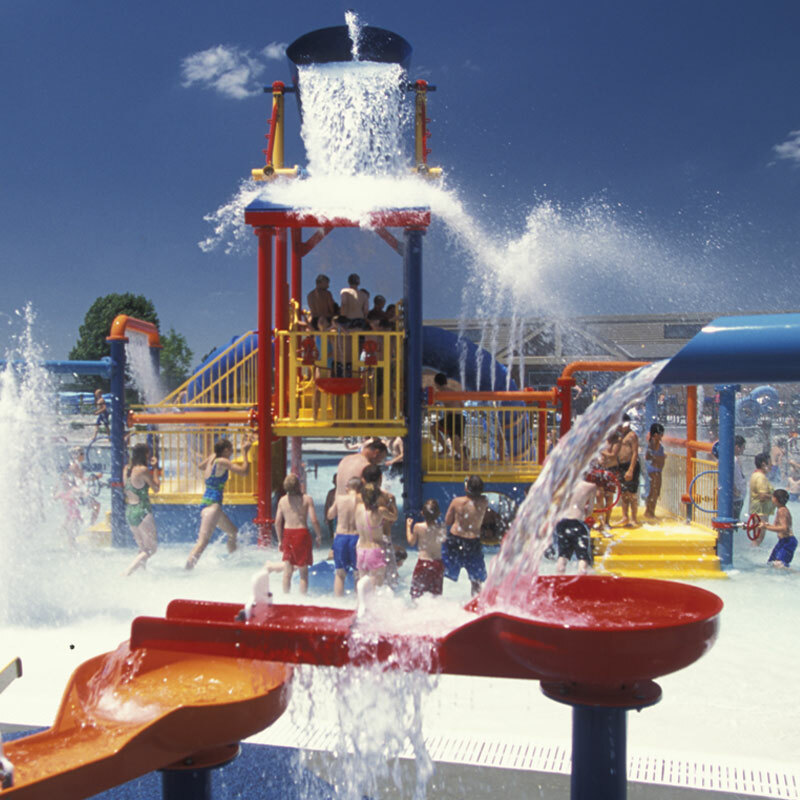 South Omaha includes Omaha’s Henry Doorly Zoo and Aquarium, Lauritzen Gardens & Kenefick Park. North Omaha includes Freedom Park, Miller’s Landing, the Mormon Trail Center and NP Dodge Park & Marina.